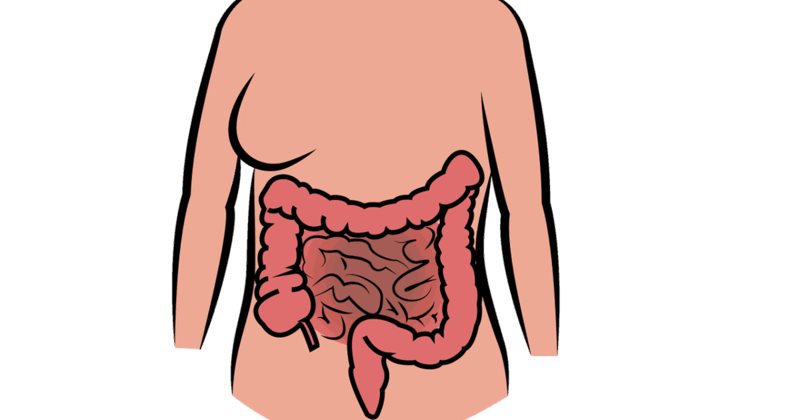 Read on to learn about the complications of SIBO occur in the body. SIBO is known to cause a B12 deficiency in the scientific literature. Vitamin B12 deficiency happens in SIBO as a result of utilisation of the vitamin by bacteria. When bacteria take up the vitamin, the bacteria partly metabolise it to inactive analogues, which compete with normal vitamin B12 binding and absorption. 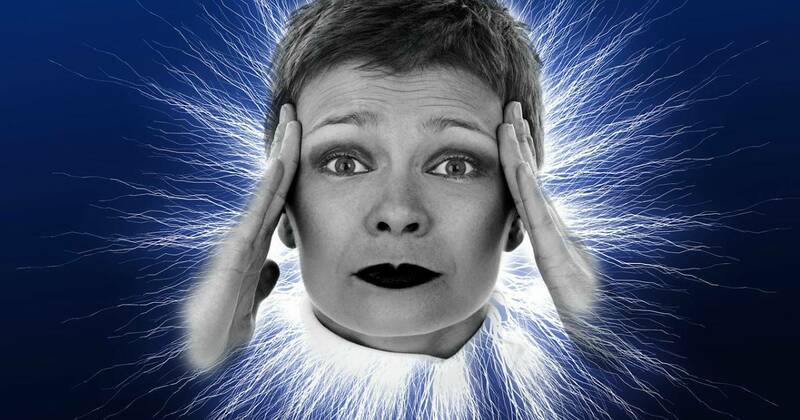 Symptoms of B12 deficiency may include things like neuropathy, cognitive decline, or even dementia. SIBO can also cause fat malabsorption, which leads to a buildup of free bile acids. A build-up of bile leads to mucosal inflammation can lead to increased intestinal permeability. Increased intestinal permeability aka leaky gut can lead to autoimmunity. SIBO can lead to blunted small intestinal villi that will decrease the activity of disaccharides. Disaccharides are enzymes that are required to break down carbohydrate. A reduction in disaccharide activity will lead to carbohydrate malabsorption. Carbohydrate malabsorption will lead to a build-up of carbohydrates in the small intestine. The bacteria in the small bowels feed on carbohydrates. So blunted intestinal villi will lead to increase the number of bacteria so worsening the SIBO. Bacteria digest protein. When you have too much bacteria in the upper part of the small intestine, where the protein is absorbed, then that will interfere with your absorption of protein. 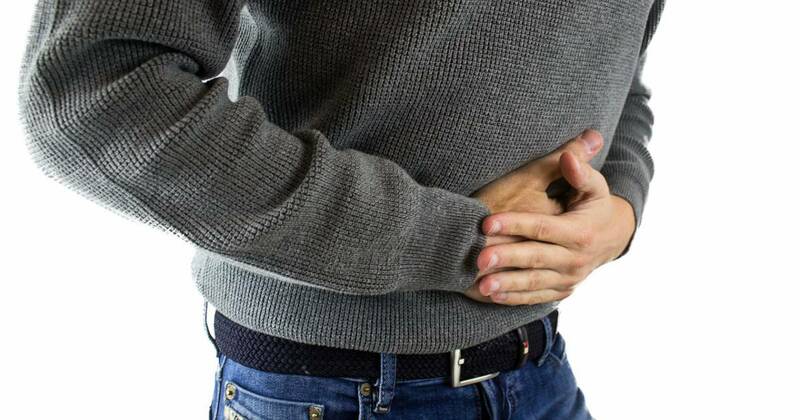 While B12 deficiency is prevalent with SIBO, folate levels can often be high in SIBO because of increased synthesis of folate by small intestine bacteria. The causes of SIBO or Small Intestinal Bacterial Overgrowth and how it develops is not entirely clear, and it’s still somewhat debatable. SIBO begin when there is a disruption in the mechanisms that control the number of bacteria that live in the small intestine. There are at least seven risk factors that are potential causes for that disruption. Stomach acid suppresses the growth of ingested bacteria, which would limit bacteria in the upper small intestine. For this reason, hypochlorhydria, or low stomach acid, is a primary risk factor for SIBO. There are also drugs that inhibit acid secretion, like histamine type 2 receptor blockers, and Proton Pump Inhibitors, both of which are used to treat heartburn and GERD. If a person has heartburn and they take these acid-suppressing drugs for a significant period, it reduces stomach acid it may predispose them to develop SIBO. The next primary of the causes of SIBO is impaired intestinal motility or dysfunction of the migrating motor complex (MMC). The MMC sweeps residual debris through the gastrointestinal tract so abnormalities in the MMC may predispose to the development of SIBO. The third of the primary causes of SIBO is a disrupted gut microbiome, but there is less research on this proving a direct cause. There are however several lines of evidence that support an association. One is that it’s well-established that antibiotic use can lead to disrupted gut microbiome and in turn SIBO. Celiac disease also leads to a disrupted gut microbiome, and there’s a definite connection between celiac and SIBO. Disrupted gut microbiome has been shown to cause dysfunction of the ileocecal valve, and we know that dysfunction of the ileocecal valve can lead to translocation of bacteria that should stay in the large intestine into the small intestine, which is one of the principal ways that SIBO develops. What is the Correct Definition of SIBO? There are several different definitions of small intestinal bacterial overgrowth (SIBO). Part of the challenge of dealing with it is that there isn’t even really a consensus on how to define it. On the simplest level, it indicates the presence of excessive bacteria in the small intestine. But what is the correct definition of SIBO? 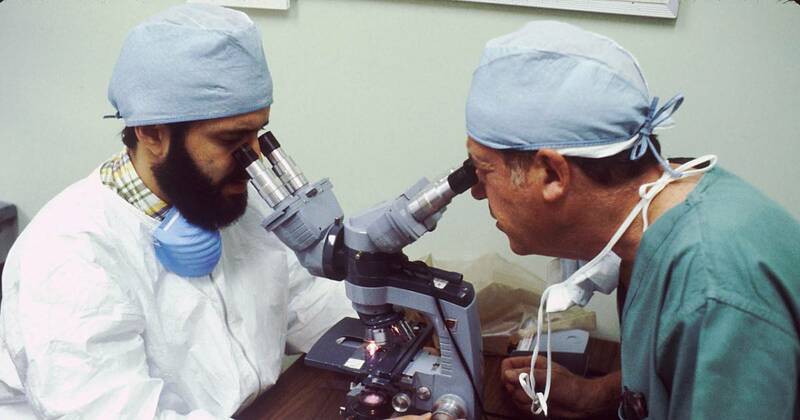 In this article, I discuss the different ways parameters or measures scientists have explored (at the time of writing) to find a correct definition of SIBO. A more specific definition of SIBO is where the number of bacteria in the small intestine exceeding 105 to 106 organisms per millilitre. Usually, there should be less than 103 organisms per millilitre found in the upper small intestine, and the majority would be gram-positive. But this specific definition of SIBO relies on endoscopy, which is one of the two test methods used to detect SIBO, but it’s the least frequently used. In fact, I can not think of any Functional Medicine practitioner, that is using endoscopy to diagnose SIBO, so it’s not that helpful of a definition for our practical perspective. In addition to the absolute number of bacteria in the small intestine, the type of flora also plays a role in the signs and symptoms of SIBO. The predominant bacteria metabolize bile salts to unconjugated or insoluble compounds, and that can cause fat malabsorption or bile acid diarrhea. Microorganisms that preferentially metabolize carbohydrates to short-chain fatty acids in a gas can cause bloating without diarrhea. Whereas gram-negative bacteria that are overgrown in the small intestine like Klebsiella can produce toxins that damage the mucosa and interfere with nutrient absorption. This explains why people with SIBO can have such a wide range of symptoms. It depends on which type of bacteria is overgrown in the small intestine. Again using the type of bacteria found in the small intestine to define SIBO relies on endoscopy. The two main ways of testing for SIBO is through an endoscopy of the small intestine and a lactulose breath test. As mentioned above the former method is not practical. The breath test measures the quantity of hydrogen of methane produced in the small intestine. This method is relatively straightforward but there is no consensus on how to interpret the results. This lack of consensus makes it difficult to establish a firm definition based on the results of a breath test. So what does this mean? There are three possible measures you could use to define SIBO: the number of bacteria, the type of bacteria and the gases produced in the small intestine. Using any of these measures to establish a correct definition is made difficult because of the limitation of the two main testing measures. It is my observation that currently, the majority of Functional Medicine practitioners (including myself) use the more practical breath test results to diagnose SIBO. When taking treating SIBO with either herbs or medication, you may experience SIBO Die Off symptoms. This phenomenon is known medically as a Jarisch-Herxheimer reaction, or “Herx,” for short. Read on to learn about SIBO die off symptoms, why they occur, and the difference between die off symptoms and treatment reactions. What is the cause of SIBO Die Off Symptoms? This cause of SIBO die off symptoms depends somewhat on the specific mechanism of the herb or medication antimicrobials, but in many cases, the antimicrobials work by destroying the cell membrane of the bacteria. is permeable or leaky, the poisons will pass into the bloodstream. The toxins will travel around the body resulting in the SIBO die off symptoms. This is the reason why you will often feel worse before they feel better or may alternate between feeling better and worse throughout the SIBO treatment protocol. Of course, not every adverse reaction to a SIBO treatment is a Herx response. In some cases, you may be reacting to the antimicrobial itself, perhaps a filler in the drug or a component of one of the supplements. Unfortunately, it’s not always easy to determine the difference between a Herx and a reaction to the treatment, but there a couple of general pointers. Herx reactions should pass or at least shift after a few days. You will start to feel better a few days after the die off symptoms, or you may alternate between feeling bad and feeling better than they felt before the treatment. With a reaction to the treatment itself, patients usually feel bad continuously and do not improve even after several days or go back and forth between better and worse. In my opinion, if you are experiencing SIBO treatment symptoms, it is crucial that you immediately discontinue treatment and contact the practitioner managing your case. In this article, I am going to review all of the conflicting evidence and viewpoints and tell you what test I’ve decided to use and I continue to use with caveats. To obtain the best possible results from your SIBO test, you should be aware of the correct guidelines on SIBO breath test preparation. Instructions may vary from lab to lab which is a little confusing. However, read on to learn about the current (at the time of writing) best practices for preparing for a SIBO breath test. You must stop taking any antibiotics or antimicrobials herbs. You must not have done a colonoscopy or barium enema. You should not be experiencing any atypical diarrhea. Four days before the breath test, you would instruct the patient to stop all laxatives including medications, herbs and high-dose vitamin C and magnesium. 48 hours before, you should avoid all high-fibre and lactose-containing foods, condiments, spices and herbs. Twenty-four hours before the test, you should stop all non-essential medication. 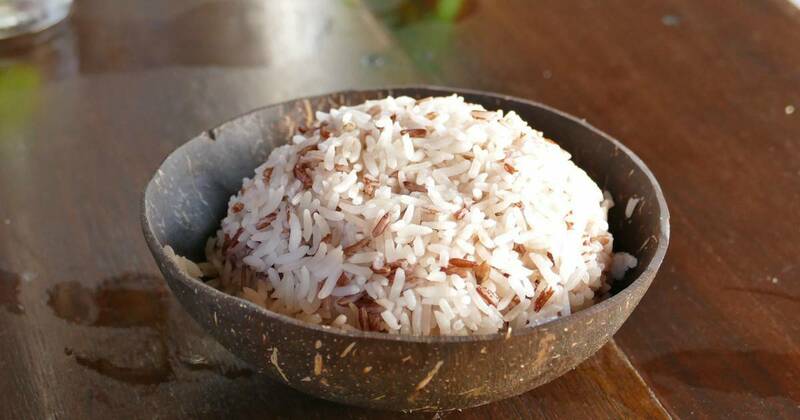 Between 24 and 12 hours before the test, you should only eat meat, fish, or poultry, plain steamed jasmine rice, eggs and clear meat broth, no bone broth, small amounts of fat and oils, salt and pepper, and maybe weak black coffee and tea. 12 hours before you should begin a water fast, where you avoid everything except for water. On the day of the test, you should awake at least one hour before the test. You may brush your teeth and no smoking or vigorous exercise within one hour before the collection. Because of the complicated nature of SIBO, no definitive natural SIBO treatment protocol works for everybody. Read on to learn about some of the supplements that I use in my practice that encompass the above four elements within a natural SIBO treatment protocol. There are two approaches to treating SIBO with antimicrobial herbs. Some health practitioners use a single herb supplement while the others use combination product. Currently, there is no scientific evidence to show that one approach is better than the other. I use combination products in my practice purely by convenience and cost. Due to lack of accessibility in Canada, there is only one antimicrobial formula I use in my natural SIBO treatment protocol. GI Microbe X is antimicrobial formula produced by Designs for Health. The product is a blend of antimicrobial, antifungals and anti-parasitic herbs. If you live in the United States, a product that is similar to GI Microbe X is GI-Synergy. GI-Synergy is a blend of three products from a company called Apex Energetics. Biofilms are composed of extracellular polymeric substances (EPS). Bacteria in the gut surround themselves with biofilms as a protective measure. Within a natural SIBO treatment protocol, we use biofilm disruptors to break down the biofilms. Within my practice currently, use one supplement as a biofilm disruptor. Acetylcholine is an organic chemical that functions in the brain and body of many types of animals, including humans, as a neurotransmitter—a chemical released by nerve cells to send signals to other cells. Supplemental acetylcholine has been shown by researchers to be effective in breaking down biofilms. Another well-researched biofilm disruptor is Lauricidin, which is monolaurin. Lauricidin is a particular form of monolaurin, which is an extract of lauric acid. You can find Lauric acid in coconut oil and mother’s milk. Lauricidin has activity against yeast, viruses, and bacteria, and also some action against biofilm. A recent study tested the activity of 15 phytochemicals against Borrelia burgdorferi, which is the bacterium that causes Lyme disease. Monolaurin was one of the four most effective botanical compounds and only one of two that affected Borrelia biofilm. Importantly, it did not cause toxicity to human cells. Interface Plus is also a biofilm disruptor. A bacterial activator is a compound that encourages bacterial cell division. When treating SIBO with antimicrobials bacteria go into survival mode by becoming dormant and stop dividing. In a natural SIBO treatment protocol probiotics are used for their antimicrobial properties. Currently, I use two probiotic supplements, Prescript-Assist and MegaSporeBiotic. Prescript-Assist is a blend of 29 strains of soil-based organisms. Soil-based probiotics mimic the flora in traditional diets, ancestral Paleo type of diets. It is shelf-stable when stored at a temperature below 98 degrees Fahrenheit. The bacteria are highly resilient to stomach acid. It has been supported by peer-reviewed, published, long-term studies. It’s better tolerated than most probiotics I’ve worked with, especially for people with SIBO who don’t tend to tolerate probiotics very well. The bacteria species in Prescript-Assist secrete antimicrobial peptides, which is one of the main reasons that I use it. The bacteria in MegasporBiotic are known as transit commensal organisms that use an environmental vector, the soil, in this case, to gain exposure to hosts. 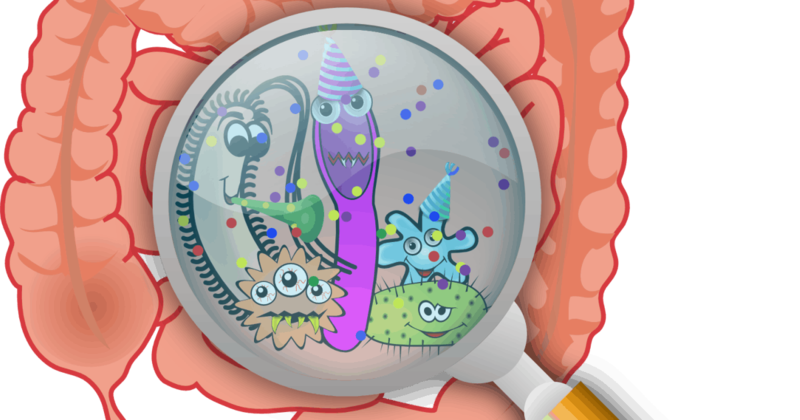 These organisms spend about 21 to 27 days in the gut, and they perform a variety of essential functions. One of these is secretion of antimicrobial peptides or antibiotics. Like Prescript-Assist, MegaSporeBiotic is shelf-stable and well tolerated. MegaSporeBiotic contains an organism called Bacillus clausii, which is the most frequently prescribed probiotic in the world. Bacillus clausii has been shown to help SIBO. In one study participants diagnosed with SIBO using a glucose breath test were given Bacillus clausii for one month. One month later researchers found that 47 percent of the subjects had a normal glucose test. 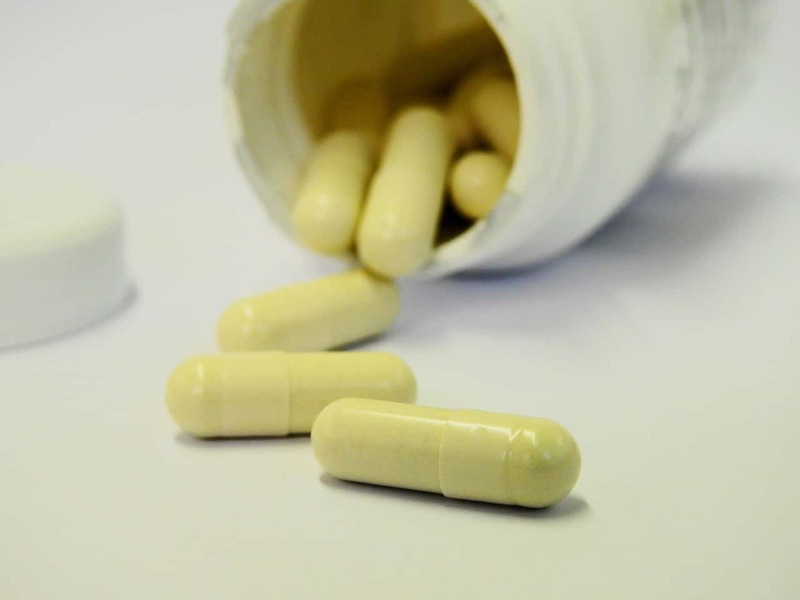 Depending on presenting symptoms there are five additional supplements that, in my opinion, are worth considering within a natural SIBO treatment protocol. Iberrogast is a blend of nine herbal bitters that stimulate both bile production and gut motility. Because Iberogast helps with gut motility, I will tend to use it in patients who have constipation. I will use Iberogast in patients who have significant gas and bloating because it helps with that a lot. MotilPro is a prokinetic supplement, which means it stimulates gut motility, but it does it in a different way than Iberogast. MotilPro contains 5- HTP, which is a precursor to serotonin, and serotonin stimulates gut motility. Betaine HCl is stomach acid, and pepsin is an enzyme that helps with protein digestion, which is often impaired in SIBO patients. Including this supplement in the protocol often make patients more comfortable and helps with their symptoms. Digestive enzymes help with the breakdown of protein, carbohydrates, and fat and can be useful for patients with severe gas and bloating. Phosphatidylcholine is useful for patients with fat malabsorption and impaired bile metabolism. When considering using antibiotic treatment of SIBO, Xifaxan is the most well known and researched. Xifaxan is the treatment of choice for the majority of medical doctors for SIBO. As a non-prescribing health practitioner, I predominantly recommend botanicals, but I do see a place for using Xifaxan in the treatment of SIBO. In this article, I outline the benefits and disadvantages of Xfaxan, Xifaxan versus Refaximin, Xifaxan versus a herbal protocol and common Xifaxan treatment protocols. Xifaxan is a unique drug with some unusual properties that mean it has some benefits over other antibiotics. 99.6 percent of Xifaxan remains in the gut. Because of this localised activity, it has risks compared to other antibiotics. Xifaxan does not have a significant impact on the colon and the microbiota. On the contrary, some studies have shown that Xifaxan increases numbers of beneficial species including Bifidobacterium and F. prausnitzii. Rxifaxan is remarkably safe for an antibiotic. In a study published in 2014, Researchers found that when subjects took Xifaxan for up to two years at a dose of 1,100 milligrams per day, there was no increase in the rate of infections, including with Clostridium difficile, or development of bacterial antibiotic resistance. Xifaxan is very expensive. Xifaxan cots between USD 1,000 and 2,000 for a month-long course. There is no approval of Xifaxan for the treatment of SIBO in the United States. I am not sure about in Canada. It is important to realise that Xifaxan and Refaximin are technically not the same drugs. Xifaxan is the brand name while Refaximin is the generic name of the drug. Because Refaxamin is generic by definition, it is much cheaper to buy. 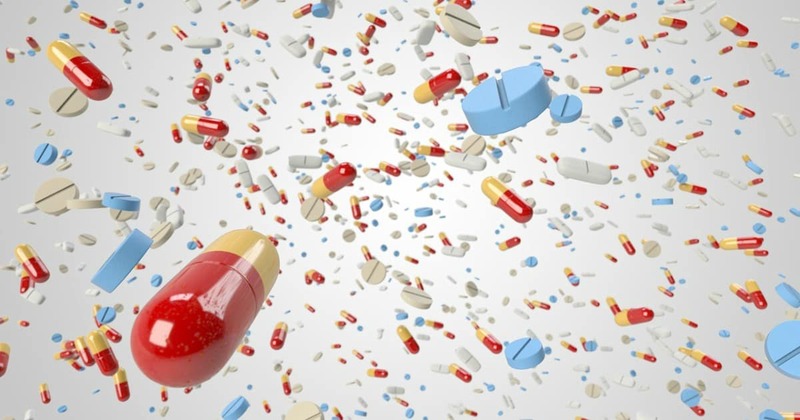 However, regarding research, the majority of the studies that have been looking at the efficacy and safety of the medication were using Xifaxan. In my practice, two situations lead me to consider recommending Xifaxan. From research, there are two chief Xifaxan dose regimens commonly in use for adults. Rifaximin comes in 200 milligrams and 550-milligram quantities. Th second dose is what’s more commonly used by specialists who treat SIBO at this point. 600 milligrams per day for seven days that led to a 64 percent normalisation of lactulose breath test in kids ranging from three to 15 years of age that are an average of 10 years old. Other studies in kids with IBD who were treated with rifaximin. They used dosages ranging from 10 to 30 milligrams per kilogram of body weight and achieved a 61 percent symptom relief. An elemental diet is a liquid formula consisting of powdered nutrients in pre-digested, easily absorbed form. Studies show that an elemental diet has an 80 to 84 percent success rate in eradicating SIBO. So an elemental diet is arguably the most effective treatment for SIBO and has been shown to be safe without risks and complications. Many people that do an elemental diet develop a thick white coat on the tongue, which could be indicative of oral thrush or candida overgrowth. The main formula used in studies to test the efficacy of elemental diets is Vivonex Plus which is made by Nestlé. As I mentioned above the ingredients are not very healthy. The main constituent in the Vivinex Plus formula is maltodextrin made from corn. The formula also includes modified corn starch and soybean oil. Fortunately, there are some alternatives to Vivinex Plus including Absorb Plus. 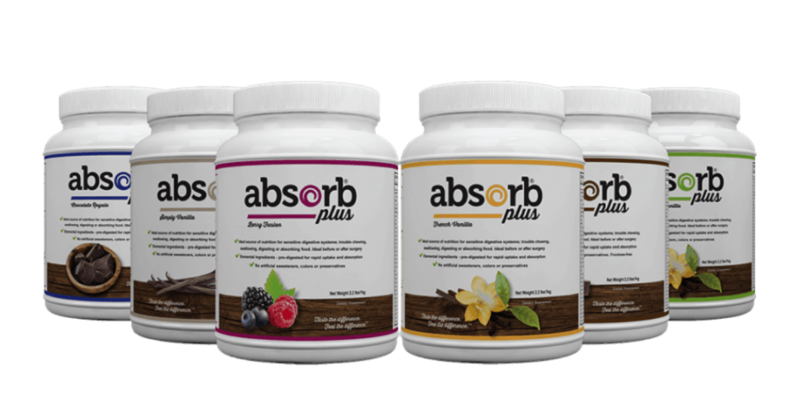 Absorb Plus is formulated by Jenny Patel-Thompson, a nutritionist that suffered from severe IBD and healed herself with an elemental diet. Absorb Plus uses whey protein in addition to freeform amino acids. The carbohydrate source is maltodextrin as well, but it is derived from tapioca. Absorb Plus does not contain any fat, so you can add your fat using coconut oil or medium-chain triglyceride (MCT) oil. Two downsides off Absorb Plus are that it never been tested in a study, and it’s not technically a pure elemental formula. Absorb plus contains whey protein which is not an amino acid, so it may not be as readily digested as amino acids. Dr Allison Siebecker is a naturopathic physician in Oregon who specialises in treating SIBO. She has a do-it-yourself elemental diet formula recipe which is freely available on her website. Bear in mind, and this formula has also never been tested in a study. Two weeks is standard duration, although you can go as long as three weeks. In my opinion, people should be closely supervised by an experienced health practitioner. In my opinion, I would not recommend mixing an elemental diet with herbal or antibiotics treatments. 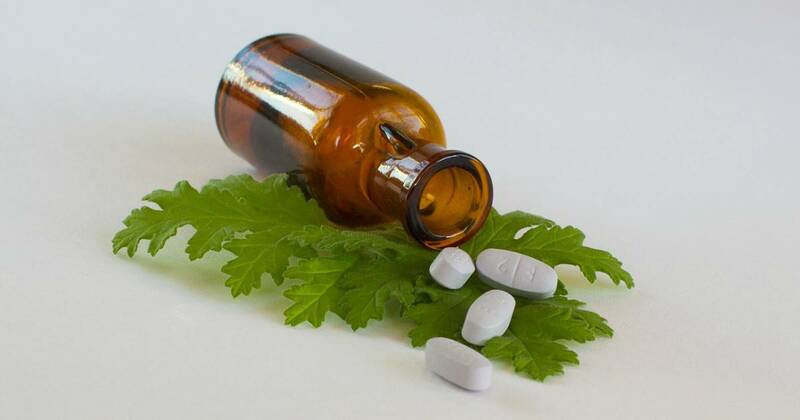 Typically, in my opinion, you should consider an elemental diet as a last resort treatment if herbal and rifaximin therapies have failed and test results have continued to be unequivocally positive. These types of people will often relapse, unfortunately, and usually will require periodic retreatment. Retreatments may take the form of an elemental diet, botanical or drug protocols. If you are the type person who is continually experiencing recurrence, then it is crucial that you are your health practitioner continue looking for the underlying cause or mechanism.